8. The Missing Picture Especially compared to the two films further down this list, Rithy Panh's The Missing Picture inspired no controversy at all—except, perhaps, on the question of when exactly it opened. A tiny commercial bow was planned late last year for LA, though evidence suggests no ticket-buyer saw it until last March. Such are the vortices of minutiae into which a Top 10 list gets pulled, when the point is to showcase artistry as keen, inventive, and affecting as Panh's, narrating his country's and his family's experience of the Khmer Rouge takeover of Cambodia in the 1970s. Forsaking a talking-head approach to history, Panh assembles an eclectic archive of stock footage, movie clips, superimpositions, and abstract sound elements that testify to the unstable, prismatic qualities of public and personal history, even as his soft-spoken account of genocide and systemic oppression evokes the stubborn, harrowing factuality of the past. 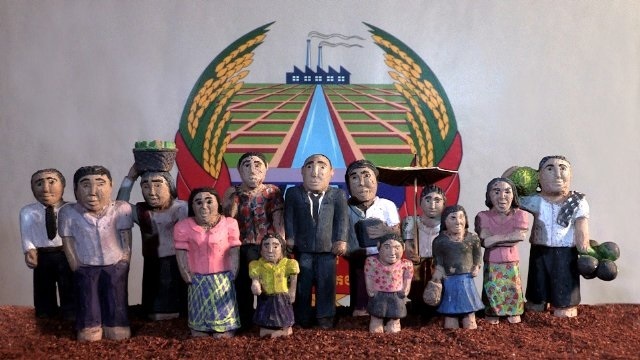 Famously anchoring the film's mix of styles and source materials are Panh's handmade dioramas of Cambodians usurped, imprisoned, indentured, and buried. Watching the film again for the first time since TIFF 2013, I realize how many times I've misremembered these wood-carved villagers as clay sculptures: they're as poignantly expressive as stop-motion figures, as palpably stamped with their creator's doting attention, to such an extent I conflated the two. Whittling and painting them by the dozens—suggesting a mass-production of bodies, but evading tyrannical-conformist connotations by subtly humanizing each doll—Panh tells a gruesome history in terms that he and his audience can bear. Still, The Missing Picture remains, of course, a deeply sobering experience. You could see it as a document of traumatic repetition: not just of immersion in an intolerable history but of daily, painstaking labor that simultaneously puts the past to sleep and wakes it back up. The viewer gets enfolded in a similar ambivalence: you'd love for the man and the country to be able to forget, but you also recognize the necessity of never forgetting how a nation of people were stripped of every individual possession but their spoons; how 250 grams of rice somehow fed 25 people per day; how a nine-year-old boy reported his starving mother for stealing a mango in a field; how the regime's oddly poetic prohibition on poetry ("the spade is your only pen, the rice field your only paper!") unwittingly inspires painful, poetic reflection among those few who survive. Through the titular, oft-repeated conceit of the "missing picture," Panh asserts that despite his film's expressive diversity, notwithstanding every photo and figurine and audio collage, this period in Cambodia's past is defined by what nobody can show. The kernel of history remains out of reach and surpasseth understanding. The Missing Picture may in that sense be a film structured around an omission, but look how beautifully and bravely it struggles to fill that gap. I don't agree with every word, but this is the first time I've read anything about American Sniper longer than a tweet that made me feel like somebody else actually watched the same movie I did. THANK YOU, even though it's unsurprising to find out that it's the case. FWIW, I've already linked to it in the comments section back at my place. This interpretation thus aligns me too with Jane Fonda, who viewed American Sniper through the lens of the Vietnam-vet movie that netted her the Oscar, and tweeted that Eastwood's movie offers another view on American troops "coming home." For someone like this movie's "Chris Kyle," there can be no coming home, because his entire worldview has prepared him to be the defender of a homebound peace that remains forever under attack. 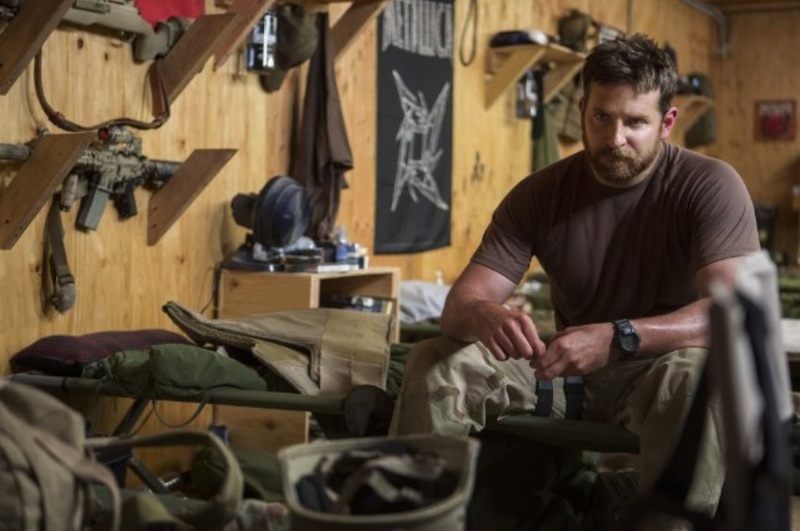 But here—and this is a big but—let me paraphrase another blockbuster that had its morally gray leanings sidelined by a debate over its under-editorialized “support” of dubious American heroism, and say that American Sniper may be the movie America deserves, but it isn’t the one that it needs right now. I suspect I’m less sanguine than you are, Nick, that a movie like American Sniper can help to re-orient viewers towards a more sincere appreciation for the appeal of sheepdog ideology as well as the costs of war, heroic pedestals, and American jingoism. 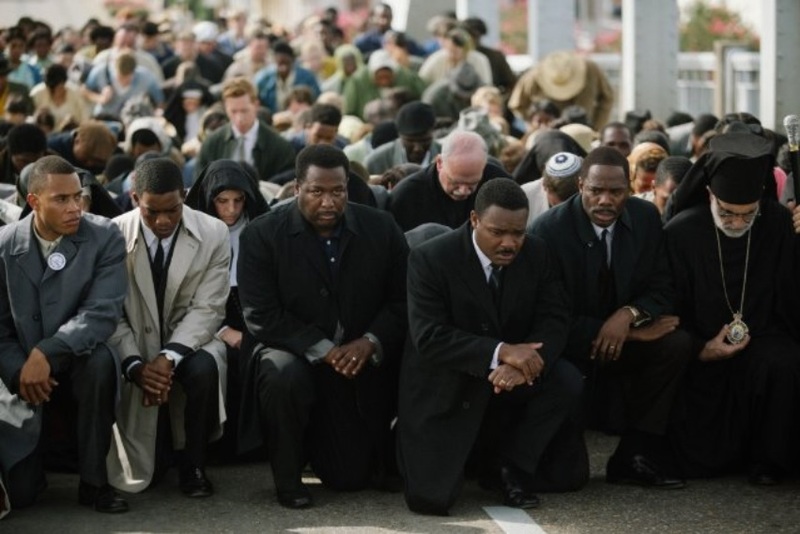 Rather, I believe the movie acts more as a Rorschach inkblot that reflects our own predilections as humanist movie critics trained to attend to nuance and irony, whereas it serves only to amplify other American viewers’ xenophobic bloodlusts or anti-conservative outrages, depending on where they began. Given these beliefs, American Sniper clearly underestimated its intended audiences, both pro- and anti-war, or worse: it knew exactly to whom it was pandering. Colin- The last two paragraphs of your first comment are so, so perfect. Everything you wrote, but especially that. I'll admit that my own response comes from a certain perspective of wanting to "win" against other critics (some of whom are just breaking my heart with how bluntly they're reading the movie, in contrast to the insight I usually see them writing with), and having forgotten that the movie exists in the real world. Whatever we might think about it academically, clearly enough people are taking it as a red-meat call to arms against the Islamic world that whatever meaning we can tease out because we are crafty is probably less important in the short run. I hadn't, somehow, managed to stumble across the info that Jane Fonda was pro-Sniper. Coming Home isn't the first comparison I'd have thought to make, but it's a useful one. Nathaniel - Glad I'm not the only one doing so. I actually had a weird dream that, after a very late viewing, the surprise #7 on both sets of lists was Transformers: Age of Extinction! In the dream, my first response was to comment: "Do I need to see the first three before watching this one!?" In reality, the first thing I did when I woke up was to confirm it was all just a horrible dream.